There were several decisions made during the 6th and 7th ends of the 2009 BDO Quarterfinal between Glenn Howard and local favorite Kerry Burtnyk. This month I will attempt to breakdown some of the decisions and determine how math could be applied to each scenario or shot call to support or contradict the final decision. At this stage, the game is tied 4 -4 and Howard has the hammer. 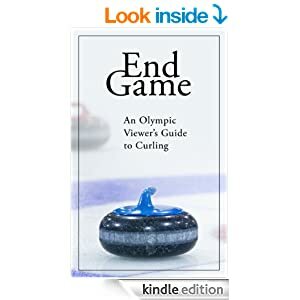 The 6th end is, per my definition, the beginning of the “End Game” (see November 2008 article). Statistics indicate that Burtnyk at the beginning of the 6th end (in an 8 end game) has a 35% chance to win. (Math whizzes may have already guessed Howard has a 65% chance). The numbers indicate that holding Howard to a single, in the 6th end, is in fact not much different than a blank. This is NOT the case if Howard is forced to one in the 7th, the difference is 25% (if Howard maintains hammer) to 38% (if he is forced to one). A steal, however, is a great advantage in the 6th (65%). In fact, it is the most mathematically advantageous point in the game in which to be up one without. At all other times, chances are 61% or less. Should Burtnyk play a centre guard or place the first stone in the four-foot? If Burtnyk places the first rock in the rings, should Howard play for a blank or attempt to score a deuce? Howard now has to determine if he will play a corner guard, using hammer aggressively in an attempt to score two (or more) or instead play out a blank. We’ve seen above a blank is identical to a single point. In fact, if Howard plays out for a blank and noses his final stone, there is statistically no difference! Howard’s only reason to wait to the next end is for a 5% advantage – IF he is able to score a deuce. Is the difference of 85 to 90% enough to make up for the risk of sacrificing an end with hammer? I don’t believe it is, and here is why. Recall my article from Dec 2008 describing a game as Close or one team being in Control or Dominant. A deuce in the 6th or 7th end results in a Dominant position for Howard. For those who understand how chip values change in a Poker tournament, a similar analysis can be used here. In a poker tournament, as you collect chips, each additional chip’s “value” is less than those previously acquired. For those interested in understanding this better, read David Sklansky’s “Tournament Poker for Advanced Players”. Each percentage point in probability of winning becomes less important, the higher your chances are. The difference between having a 50% chance versus 55% is more important that 85% to 90%. Another way to examine this is the advantage in the first scenario is 10% better, but in the latter it is only 5.8%. Some readers may also note the contrary is true. A team that is behind sees a greater benefit from small percentage changes. The advantage of a 15% chance over a 10% probability is 50% better! If Howard blanks the 6th and either team scores one in the 7th, the game remains “Close”. He has essentially given up an opportunity to take a Dominant position; with very little risk of Burtnyk taking it at this stage (unlikely Kerry will steal two). Also, recall that being forced to 1 is fine in the 6th but not the desired outcome in the 7th. Howard should be more inclined to be aggressive in 6 where a single is more advantageous, whereas in the 7th he would then much prefer a blank to being forced to a single point. Given that Howard would statistically prefer not to blank and Burtnyk is statistically indifferent, Kerry should place the rock in the four-foot. If Howard chooses not to play a corner guard, by not making the correct play he is giving some (however slight) advantage to Kerry. The outcome for Burtnyk is good positioning for a possible steal and reduced chance for a deuce or worse. All of this analysis does imply that a team prefers to place a stone and then place a guard (after the corner) – rather than having your opponent draw to the four-foot and then corner freezing to their stone (eliminating the placement of a corner guard). Burtnyk may prefer not to have a corner in play and prefers positioning stones to the middle of the rings, even if Howard initially has shot rock. I’d be very interested in the perspective of that discussion. Burtnyk sits top eight (biting four-foot) and Howard sits to the side, biting the four, guarded by two of Kerry’s stones. Despite repeated rewinding on my Tivo, I could not determine who was shot. Howard also sits third and fourth. These estimates are highly debatable, given the number of rocks remaining. However, on the basis that a three or two has little difference at this stage (see my comments above regarding Dominant position). Kerry should be trying to avoid a deuce at all costs while also trying to steal (not an easy task). It is my opinion (perhaps not his or others) that removing the two guards greatly reduces a chance to steal and may in fact increase the chance for an easy deuce. Kerry had an option to either draw around the centre guard and attempt a steal or remove the Howard stone and possibly roll behind cover and force Howard to a single. This is an interesting scenario. Per above, a steal is a significant advantage, but a deuce is also a huge risk at this stage of the game. A single by Howard or blank has virtually no difference mathematically. In fact, it was statistically irrelevant for Burtnyk to spend extra effort in attempting to roll their rock behind cover – either outcome produces the same mathematic result. Kerry might, however, determine an advantage to be either one down or tied. Also the added chance Glenn might miss his draw for one (however remote) could be considered a slight advantage in this situation. I want to stress that the mathematic analysis does not take into account other factors, ice conditions, opponent, etc, which Kerry may have considered. Mathematically, how often would Kerry have to make a perfect draw for the steal attempt to be the correct call? Let’s choose a value for y and solve for x. Conclusion, if Burtnyk believes Howard will likely take one 30% of the time, he needs to be successful with a steal > 28% in order to attempt the draw. If he actually believes Howard may only score a single half the time, it drops to 20%. If instead you assume no single and either a steal or a deuce, he must be successful stealing > 40%. Ultimately there are many factors, amount of curl and length of guard being most critical. I found it interesting that, debating whether or not to attempt a steal is an unclear decision. Meanwhile, the very capable commentating team of Mike and Joan (ranking above their TSN counterparts, in my humble opinion) were instead focused on Burtnyk possibly drawing to the back or playing a roll in order to force Howard to one. As we’ve pointed out above, this decision has no statistical impact! On Howard’s final stone, assuming Burtnyk’s rock was easily accessibly, should he draw for one or blank the end? As we’ve stated above, mathematically there is no difference. Ice conditions, your opponent and other factors would likely come into play. I would be tempted to blank, but the decision is not as clear as some might suspect. Many teams could choose to draw for one and they may very well be correct. If your team can hit well and possibly clear the mess your opponent is likely to create in the 7th end, increasing potential for a blank in the 7th, blanking the 6th end might be your preference. If your team prefers aggression and is more comfortable forcing the issue without hammer, by all means take 1 in the 6th and attack in 7. Also, you may asses your opponent is stronger with hammer and would prefer to keep it. Or the opposite may be true, and their ability to set-up an end without hammer may be something you wish to avoid. In the 7th end, Burtnyk was faced with another interesting decision. One down with hammer and a corner guard. No other rocks in play. Third’s first stone. Rather than attempt a deuce (and risk being held to one or surrender a steal) they chose to peel and play for a blank. Blank results in Burtnyk being one down with hammer and one end remaining. How often would Burtnyk need to score a deuce in order to attempt a draw, rather than blank? Let’s assume that if they attempt a draw around the corner, a steal or blank will not occur. Either Burtnyk is forced to a single or he scored a deuce. Burtnyk will have to score a deuce greater than 35% of the time for the draw (rather than peel) to be correct. Some of our recent analysis indicates that top teams in fact win slightly more than 74% when tied in the final end. Combine this with some small chance of a steal, Burtnyk would need even greater confidence in his chances to score two. Whew! That’s it for this month. Congrats and good wishes to Team Pahl (Alberta) and Team Lobel (Ontario) in qualifying for their respective provincials. And good luck to all readers of Curl with Math, whether you are chasing your first or fourteenth Purple Heart.